Courtesy of ANNA MARIA ISLAND BEACHES RE. 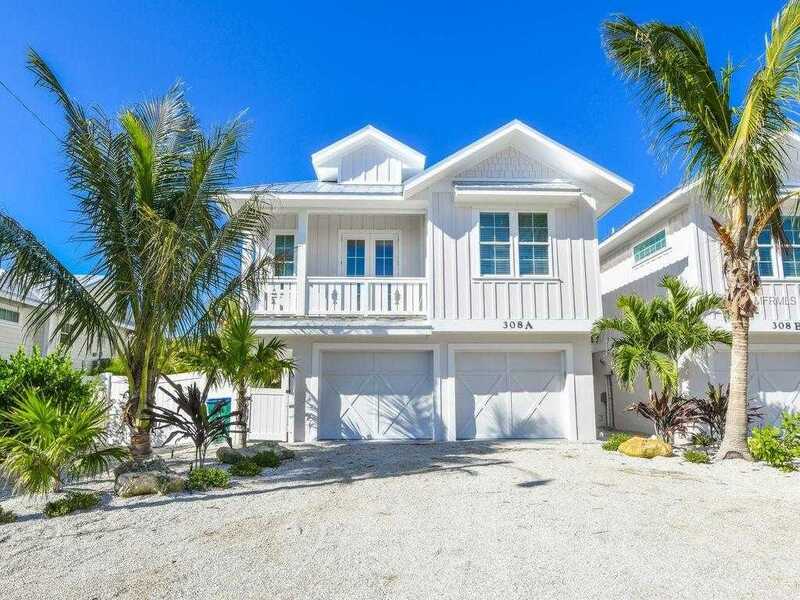 Fabulous new construction on Anna Maria Island. The property has 2 bedrooms both with an ensuite and an additional half bath. The living area has a open concept that includes upscale finishes and a charming beach d 233;cor. Kitchen is complete with solid wood cabinets, stainless steel appliances and quartz counters. The open concept kitchen is completely open to the living and dining room areas, which makes the perfect place for entertaining. The property is complete with a private heated pool and tropical landscaped yard. Close to the beach and free island trolley stop. This will make a fabulous home, beach retreat or investment property with great rental income potential. Please, send me more information on this property: MLS# A4432420 – $849,000 – 308 65th St #a, Holmes Beach, FL 34217. I would like to schedule a showing appointment for this property: MLS# A4432420 – $849,000 – 308 65th St #a, Holmes Beach, FL 34217.